While located in Wisconsin, our Machine Shop caters to the CNC needs of industries across the U.S. From medical devices to aircraft parts and any component in between, Owens can meet your needs no matter how complex. Offering 3-,4-, and 5-axis milling, sinker EDM, wire EDM, and CNC lathe work, your guaranteed high precision results when you choose Owens. Our temperature and dust controlled facility creates the most ideal machining environment to ensure your exact specifications are met. Contact us today to discuss your project ideas, the manufacturability of your drawings, and your tolerance requirements. 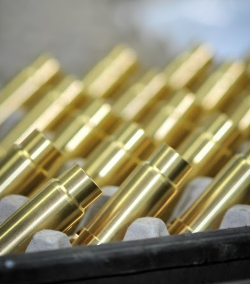 We will personally evaluate your CNC machining needs and provide you with an accurate quote for the parts you require. We accept and work with almost any of the commonly used file formats. Fax us a print or email your drawings for a quote on your needs.